Tto all who joined us Saturday, June 25 at 10 a.m. at the Discovery Center of the Brookfield Zoo for a special ceremony honoring those students who participated in the 2016 “Reflections on Riverside” poetry contest. 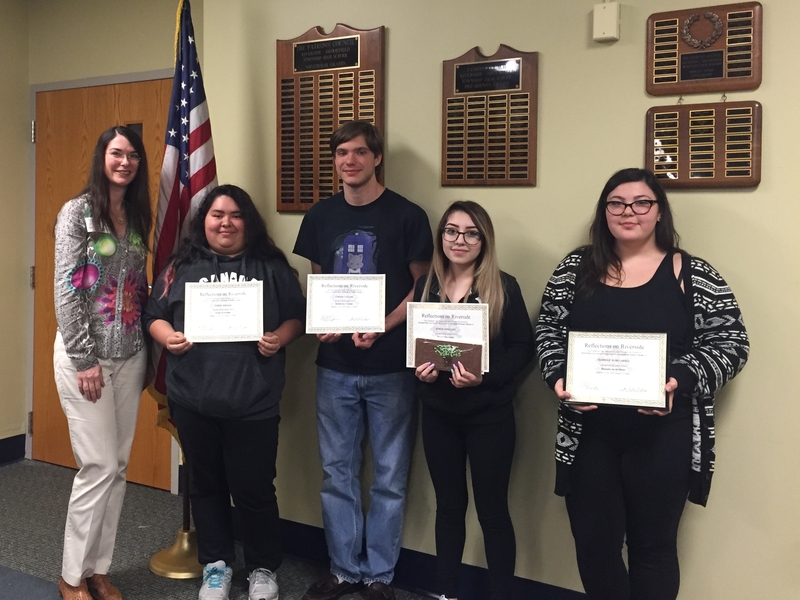 In addition to the above-named winners, 14 students received special honors for the strength of the nature themes expressed in their poetry and 67 students received certificates of merit. We attended each school’s year-end awards ceremony, awarding gold foil certificates to all. Delighted first place winners also received a check from the Olmsted Society and an Aunt Diana’s chocolate bar iced with the Society’s trademark oak tree. Through a special collaboration with the Riverside Public Library and the Brookfield Zoo, all of our young poets are invited to share their poems at the public reading at the Zoo on the 25th. If you are interested in enjoying this morning of poetic reflection with us, please register by phoning 442-6366.